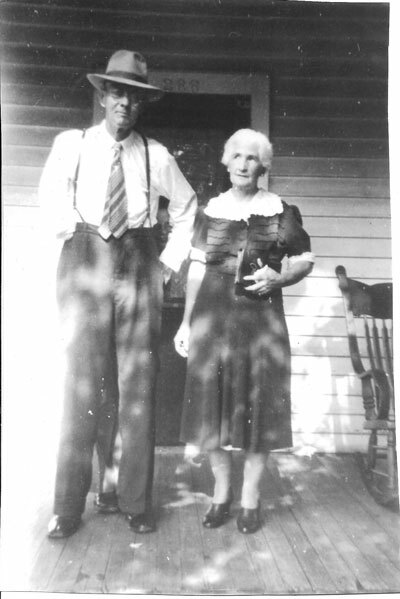 Charles Weygant, The Sacketts of America, "6731. Charles Norman [sic] Sackett, b. May 18, 1874." "US, World War I draft registrations records 1917–1918", digital image, FamilySearch, Illinois, Carrollton, Greene. Roll A2037. Local board Greene Co.
"No serial no., Charles Marion Sackett, of Carrollton, Greene, Ill, age 44, born 19 May 1874, white, native born, teaching school, School Directors, Dist. 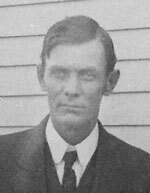 24, Barat College, Dist 34, Gifford, Ill, nok: Myra Sackett, Carrollton, Greene, Ill. Registrant: tall ht, med build, blue eyes, black hair, Right arm amputated near shoulder. Reg 12 Sep 1918." Email from Myra Roper to Chris Sackett, June 2016. "Social Security Death Index", database, Ancestry.com, "Charles Sackett, b. 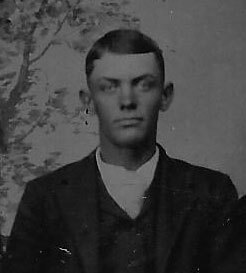 May 19, 1874, d. Nov, 1966, SSN 356-40-9068 issued IL, residence White Hall, Illinois, 62092, county Greene." Thurmon King's database, 3590 Charles Marion Sackett. 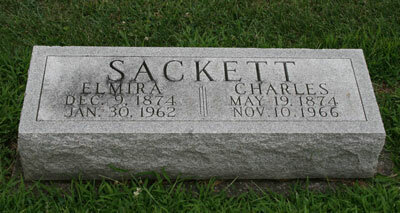 Sackett, Charles H, son, b. Dec 1895, 4, b. IL, father b. IL, mother b. IL. 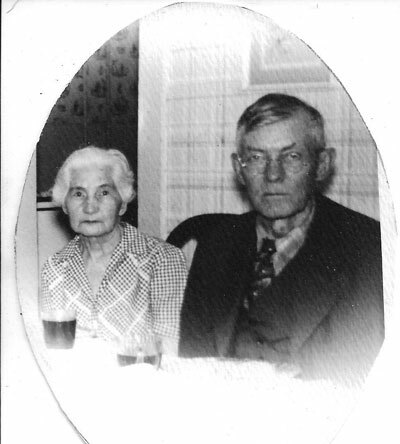 Sackett, Annie M, dau, 5, b. IL, father b. IL, mother b. IL. Sackett, Margaret, dau, 7, b. IL, father b. IL, mother b. IL. Sackett, Marguarette, dau, 17, b. IL, father b. IL, mother b. IL.